Walmart's coupon portal has a great new coupon! 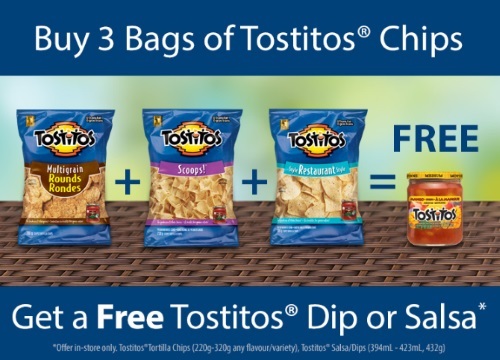 When you buy 3 bags of Tostitos chips you can get a Free Tostitos Dip or Salsa. This is a print coupon, while quantities last.